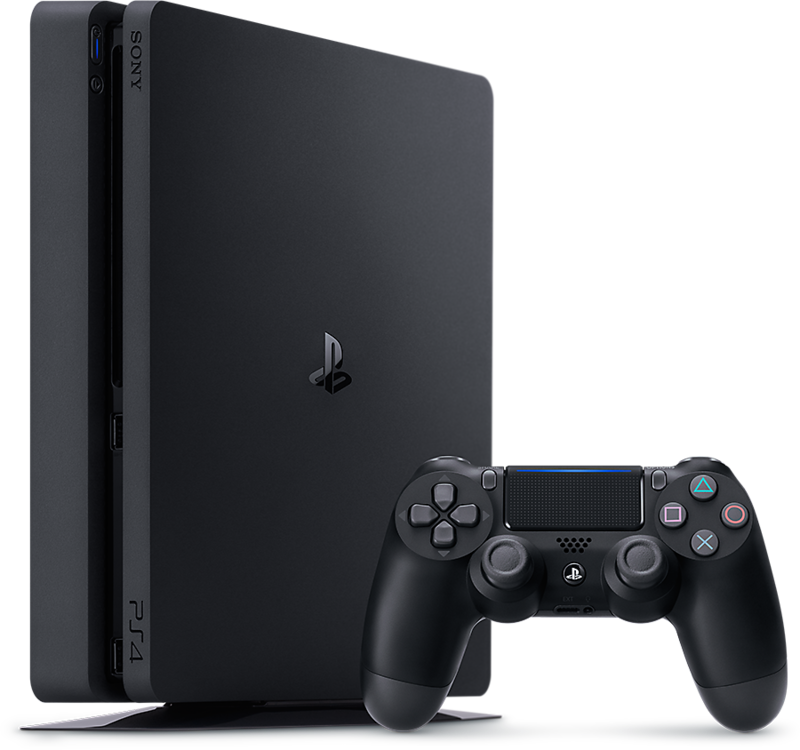 Console game publishers are reluctant to develop software supporting any peripherals that do not come with the base console, and in turn console manufacturers are reluctant to develop any peripherals that are not going to be supported by game publishers. It's something of a vicious cycle. Once in a good fortune, an accessory becomes sufficiently essential that support for it becomes widespread, and probably the most important of all of these, the memory card, was then obsoleted by cloud connectivity and storage. Memory cards are only needed now for retro use on the earliest systems that supported them: Neo Geo, Dreamcast, Playstation, Playstation 2, and Gamecube. 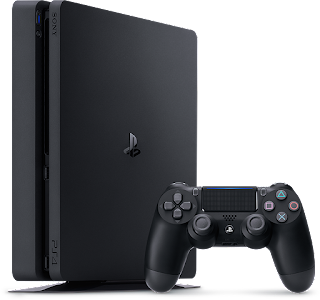 Though they are supported on PS3 and Xbox 360, both of those systems supported hard drives from day one, and both support cloud storage now. Another great peripheral, Nintendo's Rumble Pak, became common as a build-in with controllers in generations moving forward. It's not true force feedback, but there is definitely an immersion improvement that went beyond mere oohs and aahs for rumble to catch on as significantly as it did. Thousands of games ever since have supported rumble effects, publishers knowing that virtually every player would have a controller that worked with it. Unfortunately, the more likely outcome for any peripheral or accessory is that it fails in the market, or succeeds for a short time and then dies off with no further support. Ask anyone who bought Tony Hawk Ride for last generation's systems, which came bundled with an interesting skateboard controller you actually stood on, and which was used for Ride and the Tony Hawk Shred series and nothing else ever. Even Nintendo at its 8-bit peak couldn't keep the Zapper light gun relevant. Fortunately, often a game is playable even without a key accessory or custom controller. Or else the key accessory or custom controller is sufficiently simplistic that a third-party aftermarket solution appears, even for narrow ranges of games, or even single games. Hyperkin makes an optical mouse for the Super Nintendo, to replace the out-of-print SNES Mouse that was required for Mario Paint and barely worked on anything else that was actually released in North America. So, future-facing peripheral support is not unheard of. It is sometimes done. 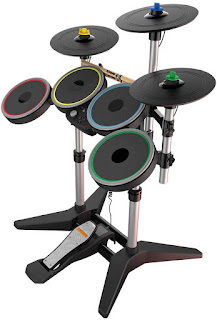 If you want to get your Rock Band 4 on, or more accurately your Rock Band Rivals on, as that is the digitally-delivered "final" version of the game for current-generation platforms, you will need a bunch of plastic controllers shaped like instruments. To explain why this is even an issue, a recap helps. Harmonix, the programming studio behind the Rock Band series and the first two main Guitar Hero games (the good ones), co-published Rock Bands 3 and 4 with Mad Catz, the controller manufacturer. Unfortunately, unlike the successful Rock Bands 1 and 2 and the spin-off Rock Band: The Beatles, neither Rock Band 3 nor 4 were smash hits. Mad Catz took heavy losses, ultimately buying time by selling off the entire stock and the Harmonix partnership to Performance Digital Products (PDP), known for Smash Bros fight pads for the Wii U and now the Switch. Mad Catz sold their Saitek flight stick brand to stave off death, but still died. Then came back to life, but is now... kinda... who knows. Alive, perhaps. But there are most assuredly no new plastic guitar- and drum-shaped controllers being manufactured anymore. The lack of any new hardware usually wouldn't be that much of a problem, except for one thing: Player interest is back on the rise, mainly because Rock Band is extremely watchable on streaming. Harmonix and Mad Catz can hardly be blamed for being a few years too early to the e-sports banquet, but that banquet is here now. The Rivals release was successful and there is new music available for download weekly; in fact, Rivals and new DLC are Harmonix's entire Rock Band revenue now, with no hardware revenue from retail channels. PDP periodically slow-rolls some NOS (new old stock) guitars in brown boxes on Amazon at $50 per, but there are long droughts between restocks and no indication of when another will occur, pushing prices up high in the meanwhile. Fortunately, the game works with any USB microphone. And the Playstation 4's existing PS3 bluetooth controller compatibility extends to the Rock Band 3 instruments just fine, for wireless instruments, which means core drums only, no pro drums. The core instrument bundle is obtainable, but expensive, typically a few hundred dollars for either PS3 or PS4 versions. For the Xbox One, players need either XB1 versions of the instruments, which are much less common than the game software due to digital sales, or they need the Legacy Controller Adapter for their Xbox 360 wireless instruments, which again means core drums only and no pro drums. The regular bundle, as with the PS4, will set a player back hundreds of dollars, but at least they are circulating for the moment. To use pro drums or any wired kit, including using a MIDI drum kit as preferred by competitive players, PDP made a certified adapter in apparently tiny quantities, that today's secondary market values at right around $300 in used condition. Yeah. (This is different from the MIDI Pro Rock Band 3 adapter for PS3 and Wii, which can be picked up for under $40.) For the time being there is no hardware workaround to this. It's a dealbreaker. Will PDP or some other company produce new plastic instruments? It all comes down to whether they think they can make money doing it. There has been a narrow but sustainable aftermarket for dance pad controllers across multiple platforms for Dance Dance Revolution, Stepmania, and Pump It Up, so the market has already accepted some notion of rhythm game controllers continuing to be made. Rock Band will have to show sustained and notable regrowth digitally and on stream before PDP would bother, which is a tough ask when players who might want to play... can't get the instruments at a reasonable cost! So, as this article began, we have a vicious cycle going on. Rock Band is only one game where the natural attrition of the peripheral supply in circulation impedes access, and it happens to be one I play on the regular, so it's the one I picked for this article. But it's not unique and at least we got a pretty reasonable initial supply of hardware thanks to the series' mass-market reach, and that of its competing series, Guitar Hero. Rhythm games are especially vulnerable to peripheral unavailability because most of them are unplayable or pointless to play without the correct controller. DJ Hero, with its turntable, is definitely limited, but has a far smaller player audience following modern streamers, so the supply of gear in the wild seems sufficient to meet demand, and market prices agree. Nintendo, meanwhile, fortunately manufactured a passing excessive quantity of Bongo controllers for Donkey Konga 1 and 2 and DK Jungle Beat, because those games are at their peak enjoyment during four-player simultaneous play. I'll leave Samba de Amigo's maracas unlinked just because. If your video game tastes run further afield than music, you might get to run a merry chase for the likes of fishing controllers, biometric sensors, polarized 3-D glasses circa 1987, pocket sonar emitters, trance vibrators, Robotic Operating Buddies, the entire cockpit control panel of a battlemech, and a VECTOR LIGHT PEN. Not even making any of those up. And a surprising number of them sound like a euphemism for some sort of adult toy. Or you can do what the overwhelming majority of gamers do, I suppose, and just play stuff that uses the system and controllers as supported out of the box every time. Lord knows both the game publishers and the hardware manufacturers have more or less settled there, except when one of them gets the itch or starts feeling limber and then the cycle starts again. The Trump tax cuts resulted in most consumers having less funding withheld for taxes in 2018, which meant smaller tax refunds in the spring of 2019, when there was any refund at all. It's a paradoxical outcome from a reduction in tax burden that got distributed over 26 or 52 disbursements, rather than a portion of a greater tax burden being refunded and landing in peoples' mailboxes (or direct deposits) all at once. We paid less, but didn't feel the difference. My situation was in line with the mainstream; small business taxation affords us some shelter mechanisms to help offset the obnoxious self-employment income tax, and I still ended up owing taxes for 2018 and sending in a check last week. The IRS is spinning tales of there being no refund reduction in aggregate, but the anecdata from the front lines says "lol whatever." Anyway, without tax refunds coming in to many gamers, we saw a distinct reduction in big-ticket purchases this spring thus far, from what had been a fairly dependable draw and one of the few positive effects offsetting retail's conventionally slowest quarter. Can't buy that Playstation 4 if you had to send the Treasury a check instead of receiving one. This is in line with gamer-demographic economics generally. While tabletop fandom runs the gamut from young children to students to young adults to parents and even to senior citizens like yours truly these days, I find a reasonably common average to be something like: Gamer in their late twenties, earns $30k/year, single, struggles with credit card and student loan debt, rents an apartment, has a car payment, and is otherwise reasonably thrifty just by the default of having no real choice in the matter. Because tabletop (aside from Warhammer) has become more gender-diverse, let's call this exemplar average gamer "Kelly." Kelly brings in $2500/month gross, after taxes about $800 per paycheck. After debt service and food, Kelly has maybe $100 per week to spend. While small purchases like tournament entry, 3-for-$10 boosters, and premium sleeves don't wreck this budget, an occasional booster box is a significant chunk, more than the weekly discretionary makes possible. Something like a new console, a Warhammer army, or a Masters booster box goes right onto the credit card and prolongs the eternal interest service. It shouldn't be a shock if many Kellies spend much less than $100 per week, especially in terms of more mainstream product mixes. Twice per year or thereabouts, there's an additional pay period in a month due to the progression of two-week increments. Kelly feels like they hit the jackpot during those times because it's basically a fully "extra" paycheck on top of the monthly cycle. If Kelly is having reasonably low stress in the rest of their life and is feeling particularly responsible, they might use the extra ~$800 as a chance to jump two weeks ahead of the bills cycle, or even kill off some credit card debt. More likely, it becomes another of those rare opportunities for Kelly to splurge on games or cards. It's not difficult to see why Kelly might not change behaviors all year long if their biweekly direct deposit was $880 instead of $800, even though this meant a whopping $2000+ smaller tax refund. The ingrained habit in Kelly's money management is to spend most of what they have, week in and week out. Until some sort of career advancement occurs, it's tough to imagine Kelly breaking free of this wage cage, despite the door being openable. This means the forced "saving" and refund of higher taxes actually provides Kelly with something of an inefficient, involuntary annual mini-windfall. It becomes easier to recognize why Kelly lives from deck to deck and trades in any Magic cards they aren't using in a deck right freaking now rather than sticking to by far the best EV practice of buying the cards one wants to play with, and keeping them. It becomes easier to recognize why Kelly becomes a console fanboy; they can't afford all three. Two at most until late in the generation when all the price cuts have come in. And Kelly has to trade in all the previous-generation games and gear just to muster up enough cash to get into the current stuff. To the extent that Kelly has kept any retro stuff around, it's either a nice trade-in or something they'll hold onto for the long run. Lest you think I'm being judgmental, be assured I am not, because I was Kelly for many years in my twenties, and millennials who are Kelly today are burdened by an even more formidable array of expenses than I was. My point in explaining Kelly's outlook is to illustrate that as a business, I need to craft my processes and economics around the needs, wants, and resources of a clientele of thousands of Kellies. (And some number of younger or older clients, and some with less resources and some with more.) Which means when Kelly doesn't get their annual Splurge Fund, it's my job to know that money isn't coming, and to avoid ordering deep on big-ticket merch out of distribution. It won't affect buys much, since I'll take just about anything that comes in. Distributed costs like taxes tend to ratchet; the colonists were ready to revolt over a matter of "taxation the tenth percent of what a man earns" and today even those who get most of their federal or state taxes refunded are paying far more than that in a combination of sales tax, payroll tax, property tax, social security (which we all know ain't gon' be there when it's our turn) and so on. Even when Republicans are passing tax cuts, it never peels back substantially below earlier increases. Accordingly, in those rare cases when taxes go down, Kelly (and the rest of us) are at liberty to max out our withholdings on our W-4 and [State]-4 forms if we want to use the tax cycle as an annual savings fund. In order to make any kind of business decision, certain assumptions have to be made, and with a confidence level. A 50% confidence level is a coin toss, and the assumption becomes essentially valueless at that point. A 99% confidence level is reasonable certainty, with the accepted caveat that you can never be absolutely certain that some apocalyptic scenario won't suddenly end your business entirely. Earthquake, pandemic, return of Jesus, 100-year flood, Thanos snaps fingers, etc. The confidence level of your typical assumption will vary as market conditions change, both macro and micro. Publisher announcements, changes in local laws, even who gets elected President can affect assumptions to various degrees. We are essentially guessing what details will emerge on events and items that are still fairly far away on the horizon. Here are an assortment of assumptions I make decisions with right now. There are a lot of references to the year 2022. That is when DSG's Chandler lease ends. While I will be delighted to continue the business beyond that year, for most decisions I might make, I only have to consider the ROI that DSG can achieve on or before that date. 99%: People will still be playing tabletop games until at least 2022. 80%: People will still be playing tabletop games until at least 2032. 60%: People will still be playing tabletop games until at least 2042. In the long run, even though "analog" games are a wonderful thing, changes in technology will probably make it much easier to play them in some sort of virtualized form. Essentially, where will we be on a scale from Today to The Invention Of Holodecks. 99%: People will still play video games on existing physical media until at least 2022. 99%: People will still play video games on existing physical media until at least 2042. 75%: The market for physical video game media will still be growing in 2022. 55%: The market for physical video game media will still be growing in 2042. The digital sunset that everyone thinks is already upon us will eventually come. However, much like no single streaming service lets us watch whatever specific thing we want all the time, not every digital delivery video game option will reach many of the richest and most engrossing titles throughout video game history. In some cases key hardware won't be circulating. In other cases the license for the game content won't be feasibly renewable. In some cases remote servers will no longer be online as the player base moves on to newer titles and platforms. In some cases all three will be the case, and by that I am referring to Rock Band: The Beatles. Having said that, population growth generally guarantees at least a modicum of some market growth in most categories, which is why we're at 55% by 2042 for any market vitality at all. 99%: People will still play paper Magic: the Gathering until at least 2022. 70%: Hasbro will still own Magic: the Gathering in 2022. 55%: There will be no market correction to Magic: the Gathering singles before 2022. We've discussed this here at length. 99%: I will sell at least one copy of D&D Saltmarsh within 30 days of release. 70%: I will sell at least 20 copies. For comparative purposes, DSG sold more than 50 copies of Guildmaster's Guide to Ravnica during the two-week WPN exclusivity window, which is no longer in effect as of this spring's release of Saltmarsh. I will still sell a lot of this as D&D is hot and Saltmarsh is going to be demanded. But it won't be like it was. It can't be; Amazon dumps books in order to accrue market share, and even though many players do support the store, it's going to be tough to attract the masses when they can buy it on Prime for a nickel over wholesale. Based on this assumption, I am going to order roughly 40 copies. The 30-day window is important to stores that buy on net terms. Ever since I fully embraced the pawnshop side of my business, we do a lot more paying cash up front (or on short terms) so that we no longer have debt-encumbered inventory most of the time; we buy what we can afford in advance, we own it immediately, and I worry about cracking the turn-rate whip later. However, processes and decision-making based on a 30-day assumption are already ingrained. 90%: If I buy a Nintendo home console without testing it, it will work. 70%: If I buy a Nintendo handheld console without testing it, it will work. 60%: If I buy a disc-based console without testing it, it will work. 99%: If I buy a cartridge or card game without testing it, it will work. 80%: If I buy a scratched disc and resurface it, it will work. 90%: Any given Xbox 360 fat, Playstation 3 fat, or Playstation 2 fat we are offered will be non-working on arrival in some form. Either red ring, yellow light, or disc read error. The asterisk* reflects the reality that it's possible a game doesn't actually work for software reasons (server long since offline, game requires subscription, etc) but when we say it will "work" we mean the system will read the disc properly and boot the game as far as it's currently expected to be able to. And while my disc resurfacer is practically a miracle machine, sometimes scratched discs with data-layer damage make it through our staff-inspection filter, or the disc ends up being worse than it looked. We have some very specific tests in some cases. Playstation 2 fats from the later manufacturing runs, before the changeover to the Slim versions, usually have good DVD drives, so I have a memory card prepared with a save-game of Gran Turismo 3 where an employee can very quickly load an endurance track in simulation mode. (This usually takes hours of "license" tutorial gameplay to unlock.) The endurance tracks are all on the second layer of the game DVD, and any PS2 fat with a failing laser will throw a disc read error dependably on that test. If you can start the endurance race and the game music isn't skipping, that there's a working PS2. Buy it, book it, prep it for resale. Yes, that's an elaborate test to devise and implement, but it increases my confidence level to 99% on the assumption that if I buy a PS2 fat that will run that track, I can sell it and not have it get returned later for not working properly. 80%: I will have an employee resign between now and the end of the year. 60%: I will have to terminate an employee this year. 80%: We will have HVAC issues this summer that will cost at least $1000 to fix. 85%: DSG will increase Warhammer sales in Q2 2019 even with a company store opening in town in mid-April. 90%: I will discontinue a miniatures line or product this year. Possibly one that is still yet to be released as of this writing. 95%: DSG will increase Magic sales in Q2 2019 even with multiple new competitors popping up. 80%: I will discontinue a TCG of some kind this year. 60%: There will be another substantial renovation of the store interior this year after our Premium application is completed. 55%: DSG will be bought out by another business entity this year. 75%: DSG will remain configured as one hub store location for the rest of this year. 95%: DSG's hub won't have any location change before end-of-lease in 2022. 99%: I will remain physically alive for the remainder of the lease. 100%: If I win the $100mil Powerball, I'm flipping a bunch of people the bird, high-fiving a bunch of others, gifting some folks a very green Christmas, and walking away into the sunset. I think I'll head over to the Circle-K to buy that lottery ticket. Check Out the Mouth on that Gift Horse! Among other announcements in the run-up to last week's GAMA Trade Show, Wizards of the Coast ended the WPN two-week early release for Dungeons & Dragons sourcebooks. This early release window was meaningful because Amazon's default practice is to dump books at or under wholesale in order to maintain a stranglehold on the book business. I sometimes use Amazon Prime to restock these products, it's that insane, and I can't imagine my distributors are happy to know that they are being undercut so egregiously and with the publisher's blessing. The reaction from retailers has been sharply negative, to understate the matter. Wizards's response has been along the lines of how this helps them with quality control. They are referencing the cover damage problem from last summer's Mordenkainen's Tome of Foes sourcebook, which resulted in distributor returns and most stores just never getting replacements. That is a pretty flimsy justification, though, leading us to speculate that in reality, that's just spin and the simple truth is that the staggered release was a logistical bother and they would rather not spend the resources on it. Every few weeks lately it seems like there is some policy change that leads to a great online dust-up in which retailers around the world assert that Wizards of the Coast doesn't care about them and doesn't want them to succeed. While I speculate that Wizards is internally well aware that there are too many stores and is willing to allow some to shake out, their public-facing policy has been one of considerable direct support of their WPN retailer member stores. I say "direct" rather than "financial" because they are not just outright handing us cash, but with the amount of prize support and promotional material we get, it's pretty close to that. It occurs to me that a lot of hobby game, comic, and tabletop retailers simply don't have a frame of reference for whether a publisher is supporting them or not. They honestly don't know any different. A rich child might cry because the family had to cut short a Hawaiian vacation by a day, while a poor child might not complain about repeated missed meals or a freezing bedroom in an unheated apartment. We all walk alike on the hedonic treadmill, and tend not to recognize whether our own experience is typical or an outlier. And that is why Wizards of the Coast can announce that stores are going to receive dozens, in some cases hundreds, of value-rich promo packs for free to hand out to tournament players every quarter, and then retailers will take that news and complain that their porridge is too cold. "Oh what Bahr you have such an informed perspective then why don't you straighten us out on this" DON'T MIND IF I DO. Pull up a chair. Ladies and gentlemen and all non-binary friends and colleagues, I give you: The video game industry. 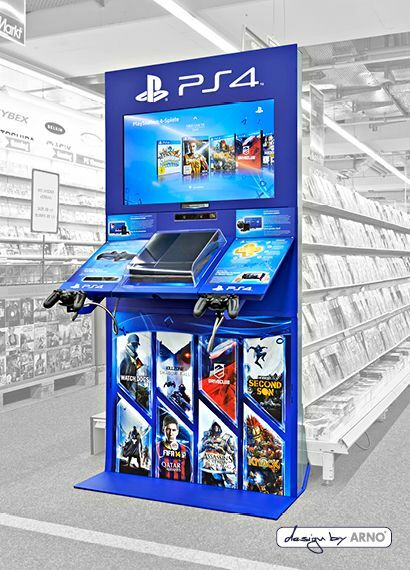 Pictured: a Playstation 4 kiosk. Not yours. Video game publishers (VGPs) see digital delivery as a way they can eliminate the need for most or all stores, mass-market or independent, in the future. The publishers' own Online Stores are veritable templates of modern e-commerce best practices and are surely profit centers for them. Microsoft's and Nintendo's are particularly impressive. This is therefore the focal point of their infrastructural development. VGPs provide virtually always zero organized play support. Their preferred implementation of organized play is for people to log in to the multiplayer lobby and play online from home. I would say that this is a feature and not a bug, but we're in the context right now of publisher support of independent retailers, so in that respect: virtually always zero organized play support. VGPs provide new software at margins in the single digits. The mass market has access to rebates, rep display curation, and buybacks. Independents do not get access to these things. VGPs are more than content that the main delivery vectors for their physical product be mass-market entities. With Amazon, Wal-Mart, Target, and Gamestop, they are reaching 95%+ of their target audience. VGPs provide new hardware at margins in the single digits or zero, and often with a Minimum Advertised Price that is more of an Exact Advertised Price. Mass-market resellers get rebates, rep display curation, and buybacks. Kiosks like the one you see in the article photo above. Independents who end up having to source from book-industry distributors such as D&H and Ingram Group do not get this support. Meanwhile, in tabletop, independent stores get display models, demo units, promo signage, and so forth, direct from the publishers, while the mass market largely gets nothing and is fulfilled by third parties like Excell and MJ Holdings. Even when independent retailers utilize consumer-facing direct portals, there can be issues. Independent retailers have reported, in fact, that e.g. Nintendo and Microsoft have canceled their parts orders based on the buyer being a dealer, which may be prohibited somewhere in their terms-of-service fine print. (Gamestop's TOS just says outright, "No dealers." It's at the bottom of their trade landing page. They don't tend to enforce that much, but they could if they wanted to.) This order cancellation has never happened to me so take it with a grain of salt as second-hand information. I have placed orders with Nintendo in particular that they cannot possibly have mistaken for a consumer order, online shopping carts like "DOL-002 GameCube Power Supply (Certified Refurbished) Quantity 20," and I received the goods timely and intact. But multiple colleagues of mine have reported cancellations. The closest analogue, I think, would be if Games Workshop opened a company store in your area and suddenly started canceling your Space Marine restocks. It isn't 100% safe to resell current-generation (and even some previous-generation) consoles due to network bannings, and this is a side-effect of the VGPs' direct enforcement of copyrights, which they cannot realistically abstain from doing. Checking a PS3, PS4, Xbox One, or Nintendo Switch when buying one is an archaic exercise in creating a network connection (worse on Sony's hardware for some reason, since it hates business DNS on static IP and you have to enter manual IP config even for ethernet) and using a store throwaway account to see if that console has been banned for TOS violations, modchipping, or what have you. It's rare enough that the value is marginal on taking the time and labor to test each one, but when you get a banned console it's a non-trivial monetary hit if you already paid the cash and the seller is long gone. Among all recent systems, only the Xbox 360, as of this writing, can get a banned-or-not-banned instant answer by entering the serial number into a web tool on the Microsoft support home page. Somehow they have not (yet) extended this courtesy to the current-gen One systems. Given Microsoft's future approach to the Xbox platform and not caring what hardware players use as long as they're consuming content in the ecosystem, maybe it's not a surprise that only Microsoft has made even the smallest foray into solving this problem for resellers. For the tabletop analogue, imagine if Wizards of the Coast made no public acknowledgment whatsoever about the existence of counterfeit Magic cards, and either refused to discuss the security features developed to help fight the problem, or refused to develop them at all. Nintendo has gone further and made it possible for individual game carts/cards to be banned on the Switch, as each one is serialized. They don't have a solution for resellers and it's probably in their business interest not to have one. This is, again, fortunately, a fringe situation. DSG has been through several hundred Switch games in and out, a higher number than I expected to see in the sales report because of how infrequent their trade-ins are, relative to other systems. We have encountered zero banned game carts/cards. May it continue to be so. If we get one, too bad for us. We're not checking each one, we're just not. Speaking of Games Workshop opening a company store in one's area: A Warhammer company store is opening right here in Chandler on April 20th, though it's almost ten miles away from DSG, farther than the distance we moved from our old Gilbert location. Many peers, customers, and friends have asked me what I think of that and what I plan to do about it. Folks, there's a Microsoft Store two miles away from DSG at the Chandler Fashion Mall and they have day-and-date access to everything consequential for Xbox, and effectively no cost-of-goods. I plan to do not a damned thing about either of them, because the presence of company stores in proximity to my business does slurp up some low-hanging fruit sales, but is ultimately a push versus the kind of sales pressure I would see from any other channel or even from other ways people spend their entertainment dollars. But it is yet another example of how tabletop retailers are sure that a publisher is doing them dirty, and we have to turn around and point out that video game publishers already been there and done that, and in fact they basically suborn every big-box store with their store-within-a-store template that started back in 1988 with the marketing master-stroke World of Nintendo merchandising rig. I'll take three Warhammer stores within driving distance if you can talk the area Wal-Marts and Targets into ditching their gorgeous publisher-subsidized and publisher-curated merchandisers for video games, which obviously they are not going to do. Beyond even what the first-party publishers do in the video game industry, the third-party video game landscape is often virulently anti-store and reinforces at every turn the "all-digital, all-online, all-virtual future" that "everybody knows" is inevitable. 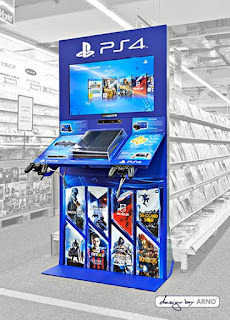 The default physical organized play location for video games is the convention hall or the college union building, not the retail store game room. Every piece of high-end hardware from fight sticks to gaming keyboards to headsets and so on and so forth is either manufacturer-direct, Amazon, or Massdrop to the consumer. And also, all of E-sports exists and stores barely amount to a lost footnote in that equation. I have written before right here on this blog that there is a sunset coming for the video game category, just as there are sunsets coming for comics, movies, and even general tabletop. But only in video games is there a pervasive assumption that physical retail is actually already dead, we are just too stupid to realize it yet. Usually, a collector or retro enthusiast has to take a level in their collecting experience before they start to understand the vast treasure trove of hardware and software already circulating, and how independent video game stores still remain one of the most cost-effective ways of acquiring those goods, and how the original gear is still often the best way to consume that content, and is sometimes the only way to do so because of technological, licensing, or logistical obstacles to modern-era re-release of many titles. So, what does all this litany of difficulty in the video game industry mean to a tabletop-only dealer, or a tabletop-first dealer, you might ask, beyond merely broadening perspectives? Let's address that, and I'll wrap up from there. I am not saying that there are no tabletop publishers who give short shrift to independent game stores. There certainly are those. Almost all Kickstarter trash publishers hate independent game stores and only turn to them when they have a print run remainder to liquidate. These publishers are essentially the board-game equivalents of Magic: the Gathering backpack dealers. They have no concept of what it would take to keep high-quality content in print sustainably, and the designer is instead just buying-a-dream of publishing their pet game invention at a nickel over production cost so they can spend the next two decades of their life at dinner parties with a ginger-infused craft ale in one hand, delivering the carefully refined boast that they are a Published Game Designer. It's no different than the Vanity Presses that used to prey on your aunt in the 1980s when she dreamed of seeing her slush-quality bodice-ripper novella in print. So no, they don't understand the FLGS's benefit to the ecosystem and they aren't about to learn. Sadly, even a few larger and more established publishers are producing shovelware-grade content right now, confident that Amazon fulfillment and sales off the table at Gen Con, Origins, and DragonCon are enough that Dice Tower will continue to answer their emails and accept their review copies. Many of them have even gone back to the crowdfunding well as a means of funding speculative releases. But most major tabletop publishers by now have seen that a boxed game that has no presence at independent retail, and is sold out of the virtual-or-actual trunks of cars, tends to sputter out. If it is a constructed-deck, constructed-army, or similarly modular game or game system, it needs support at retail from day one or else it will absolutely sputter out. And if it's a game that needs a player base beyond the kitchen table, Justin Ziran's "network of nodes," the publishers have in many cases gone well above and beyond expectation to support independent game stores and give that game a solid foundation. 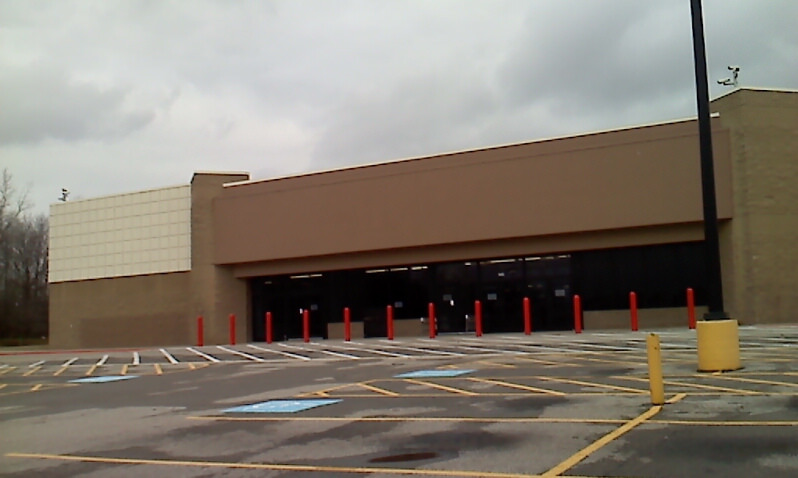 They have, in some cases, provided more support than many of these downstream stores deserved. Now the good news on the video game publishers' side is that they are staffed by decent, intelligent people who do care about marketing their products well and who do recognize that independent game stores can be a net benefit in the ecosystem to their mission of moving their brands forward and reaching more gamers. (And teaching new ones!) An independent video game store that establishes some longevity, operates professionally, and builds relationships, can eventually expect to be able to work with these publishers to mutual benefit. Sound familiar? I will be the first to admit my own store is not at that level yet. I have some work to do. In the meanwhile I am going to do some good-faith promotion and hope positive feedback makes it to the publishers. For example, once we learn the release date of Ori and the Will of the Wisps, my most anticipated video game title of my adult life, I will begin planning a launch party for the game that will be a wholesome, exciting, all-ages celebration of the wonder of Ori. I have no idea whether Moon Studios will have any interest in it even if they find out about it, but I am going to do it anyway. That is how you build bridges. You lay a foundation and you look for an opportunity to make a connection. And even if nothing comes of it this time, there is always next time. And I also get to make some local players happy. In the meanwhile, I am going to take the absolutely lavish publisher support I get week in and week out from tabletop publishers and use it as gratefully and productively as I can, and importantly, I am going to use it the way it was designed to be used. I am always surprised when retailers apply some hack or workaround to a promotion. Do they seriously believe that a major publisher doesn't have human beings with marketing degrees putting hours of work into devising a program that will sync with their marketing message and branding? And you're going to take that apart instead of running it at full octane, out of the box, as it was prepared for you to use, in the manner that will connect with what your customers arriving are expecting to see and pay for. And then you say the publisher isn't supporting you. Given what you do with their promotional materials, if they were supporting you, are you sure you would know it? I can't think of the last time Sony gave me two hundred free month membership codes for Playstation Now to give out to my players, at zero cost to my business. I'm sure they have swag handouts from time to time, but nothing like that, and not formalized and regularly scheduled. Wizards of the Coast is sending different numbers of promo packs to every store, and it might be a lot of packs and it might not be so many, but it is costing you nothing and the contents are hot fire as far as the players are concerned. It should really not be that difficult for you to make this work. If you are bound and determined to look a gift horse in the mouth, maybe first make sure that horse isn't Shadowfax. For two Marches running, I have proclaimed that if the Peppermill ends up being better than Bally's, the use of Reno as a location for the GAMA Trade Show will probably end up okay. Well, the Peppermill did remain better than Bally's, but the shine rubbed right off the Reno apple and we're ready to scout for a new location now. I will be skipping at least GAMA 2020 and unknown at this point what I'll do in 2021 pending the show's outcome. I doubt they'll miss me, given that retailer badges sold out this year and the show hit capacity. And boy, was that a travel nightmare for a lot of folks. Nonetheless, the 2019 GAMA Trade Show stands as a tremendous experience in my business memory and it's time to blast into our annual setlist, starting with a favorite from our last album! Last year, we convened in Reno to clear skies but frigid temperatures, before giving way midweek to full-on blasts of arctic weather, with a ridiculous snowstorm grounding planes and ruining the end of everyone's week. This year, the snowstorm appeared at the beginning, with a winter weather system crossing the Sierra Nevadas right on Sunday. By Wednesday morning, Reno dawned clear and free, if still a bit brisk for my taste, but somehow everybody still lost. The Rockies and the midwest after them got slammed by the "bomb cyclone" weather system, causing deep snowfall and excessive flooding. And Reno, under clear skies, saw half the show attendees get stuck in town thanks to Trump's order grounding all the Boeing 737s, which are extremely common on Southwest Airlines and other regional carriers. Granted, that bit wasn't the show's fault or the city's fault, except to the extent that the show could be held somewhere else. We'll play that tune later in today's set! Asmodee North America offered a can't-miss event incentive to retailers: Preregister before the deadline and get a booster box of Keyforge decks printed with the store's name on them! (Every Keyforge deck is unique and has an algorithm-derived name.) The show promptly sold out of retailer badges. Keyforge was already a hit, and few stores would want to be left out of such a promotion. I allocated DSG's decks to be gifted to various of our Keyforge players, and I kept one for posterity. From what statistics retailers have been able to glean from one another, the decks had a fairly normal rarity and type dispersal. Asmodee basically gets an A-plus for this. According to the Games Workshop official show presentation, Warhammer had its best year ever in 2017, and then its best year ever again in 2018. From a lot of publishers, I would dismiss that claim as humbug. In this case, I believe it. Despite extremely scrappy regional competition for the miniatures market hereabouts, and despite the bottom end of our regional player base being utter beardie grognards fitting every stereotype of the toxic player, Warhammer somehow... soars at DSG. We have a better Warhammer player base right now than we've ever had, in terms of people who are personable, approachable, and fun to engage in the hobby with. So imagine that except mix in some of the strongest release lineup GW has had in years, and what happens. The company is dropping an official store in the southeast part of Chandler where high commercial rents are prohibitive to independent game stores, and unlike the reaction I've heard from most of the East Valley minis hangouts, I welcome it. What, GW? You say you're going to hire friendly, gregarious extroverts to demo the game and get people to engage in the hobby for the first time and you're going to do it all at MSRP? I don't care if you do get the cream of the front-end army purchase spending. You will be earning it. I will take them from there. I have a plan to amplify that, but it's still in the brewing stage at this point. John Coviello from Little Shop of Magic procured for us a Sprinter van, and a half-dozen retailers (and one publisher) clambered into the vehicle to roll across some eight hours of trackless wastes, complete with Area 51, through the Mojave Desert from Las Vegas to Reno. Halfway there, the blizzard began. We saw snow-choked burned-out husks of towns, "the sort of places where horror movies begin," as one rider observed. We took pictures at basin lakes backgrounded by snow-capped peaks. We stopped at Tonopah Station at the Beans & Brews for enough liquid cocaine to kill an elephant. We crept behind rubberneckers past a sprawling wreck just northwest of Clark County. We searched to no avail in the forlorn ruins of Fallon for an eatery still open at 10pm on a Sunday, and ended up just eating at the Peppermill after midnight. (See below.) We saw a hippie bungalow and somehow let one of our number enter there freely. And we talked shop. And business. And commerce. And product. And logistics. And everything under the sun. And it was great. I'm glad we had a British visitor with us, GRD Board member Dave Salisbury of Fan Boy Three, because an American road trip is one of those experiences everyone should get to enjoy. I mentioned last summer that I was asked to join Wizards of the Coast's Retail Advisory Panel. (The opinions in this blog are mine alone except where cited otherwise, and do not reflect those of the Panel, but Wizards has clarified that panel members are only under NDA for panel discussion content, not for the fact of being on the panel itself.) Wizards decided to have an increased presence at GAMA this year, for reasons I'll touch on in a moment, including a floor booth of sorts with a giant statue of Jace (see photo above) and a lot of open/negative space. They decided to invite the eight or so advisory panelists who were at GAMA to dinner on Monday night, in the way of a "thank you" for our input and for some additional relationship-building with the corporate support team. It was nice to put faces to some of the names, with some of our reps in attendance, some folks from management and admin, and of course Nelson Brown, our Facebook retailer liaison who has taken up the Michael Yichao mantle and made the role his own. The meal was fairly decadent and it afforded us a chance to get to know each other beyond the bounds of the business. My interim rep, as it turns out, comes from the same competitive side of Magic that I did, and was thoroughly familiar from his own experiences with some of the events that shaped my early steps in the industry. I think a lot of retailers get so much tunnel vision with their own stores' struggles that they forget there are real people on the other side of that publisher email or phone, people worth connecting with. Anyway, thank you Wizards for graciously inviting me! I have presented retailer seminars at GAMA three years running at this point, and I hope they have been of some value to attendees. In 2017 and 2018 I teamed up with John Stephens from Total Escape Games in Broomfield, Colorado to present SWOT, a primer on the use of the situational assessment tool for planning and business-building. In 2017, I teamed up with Paul Simer from Nerdvana in Jackson, Tennessee for "Video Games? 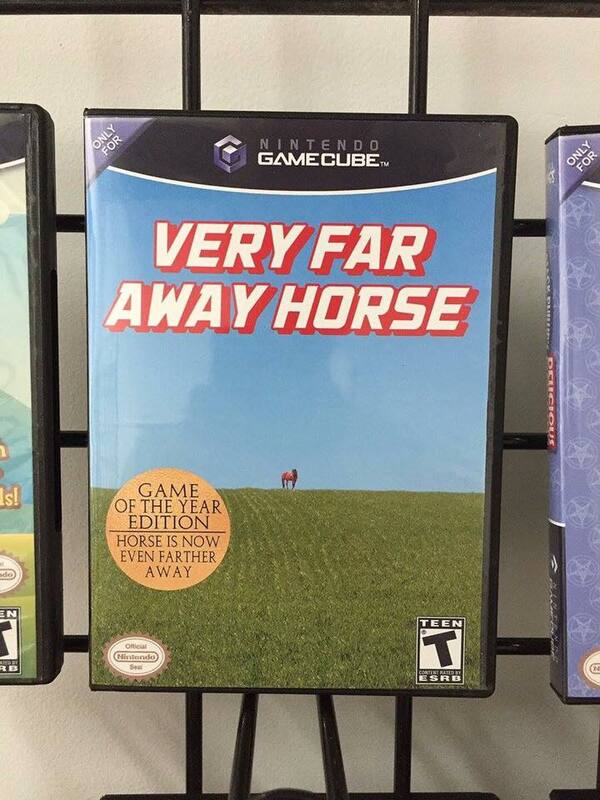 In My Game Store? ", which has been retroactively deemed the first seminar in the Hybrid Series. In 2018 the Hybrid Series continued with Stephen Smith from Big Easy Comics in Covington, Louisiana teaching tabletop retailers how to enter the comics business. This year I flew solo teaching tabletop retailers how to enter the video game business, adapting Paul's original seminar plan with a focus on the steps to deployment, on the assumption that my audience would mostly already be inclined to move forward with it. I think the seminar could use even more fine-tuning still. There are some tidbits I included just to give people a sense of the scope of the category, the untapped potential out there once they get their sea legs. In reflection I wonder if those things are too much "director's cut" and it would be better to run Deployment 101 and touch on basically nothing else. I really only do have 40 minutes or so to work with before taking questions. After my session, I stayed and watched the second Hybrid Series seminar of the show, with Maryam Al-Hammami of The Game Chest with three SoCal locations talking about toys and mainstream merch. If you'll pardon me, I have to order about fifty cases of Crazy Aaron's Putty now. As mentioned above, Wizards showed up to make an impression this time at GAMA. The big announcement for Tuesday morning, which the Advisory Panel members got to know about and shut up about until it was revealed to the public, was the overhauling of the WPN Retail Program. This is going to be good for an article all its own, I have no doubt. The nutshell version: Using close tracking of event metrics, Wizards consolidated the promo offerings for Magic into a unified promo pack configuration that WPN retailers can allocate as event needs dictate. The promo packs are basically straight upgrades from prior prize support. Starting with Core 2020, the store levels of Core, Gateway, Advanced, and Advanced Plus will go away and store allocations will purely follow the event metrics. However, for those stores that want to go a little further in providing a high-end customer experience, a new Premium Store credential offers a promotional benefit and the promise of future prestige signifiers under Wizards' imprimatur. The early word is that earning Premium is much more difficult than the published list of requirements suggests, because of strict application of those criteria. When Wizards says they want the store tables and chairs to match, they mean match. Those of us in the midst of the Premium store process have compared notes and observed fairly stringent review by the WPN reps. I am doing non-trivial renovation to the storefront in the weeks ahead because I don't intend to spend any longer in limbo than necessary, and I want to pass this review by a mile, not by a meter. DSG's event metrics are way past the required threshold, and I don't like the business notion that we're held back only by a matter of housekeeping, even if that housekeeping is more significant than just some tidying up. As each GAMA evening deepens to night, retailers and even some publishers and distributors in attendance tend to congregate and socialize and enjoy recreating. Even though we all have to be up early the next morning, there is an incredibly strong pull where we want to keep hanging out deep into the night. We make this worse for ourselves by eating and drinking stuff. There was a gelato counter in the hotel. So, yeah. The thing is: It's worth it. We need this. After spending all year in full-tilt business mode, we need to find our comrades-in-arms and have the soldiers' revelry with them. For practical reasons the one time we're all going to be in one place most years is going to be at GAMA. A little excessive celebration is worth the 15-yard flag to be enforced on the morning's kickoff. The hit of the show on the board game side was Underdog Games's Trekking the National Parks, which appears this week at DSG for your tabletop enjoyment. This blend of Tokaido and Ticket to Ride with a camping/traveling overtheme is the perfect sort of game to reach across the chasm to mainstream gamers and welcome them into deeper strategy offerings. Last year's party game sensation Wing It! made an encore appearance and teased us with an upcoming expansion. Iello reported a refresh configuration for their buy-it-all-at-once mini game display, and unlike many tabletop stores who move more bigger boxes, I see far greater sales of the smaller games, so this was highly relevant news for me. Last year we had a changing of the guard on the GAMA Retail Division Board, which is elected at the Retailer Dinner on Tuesday evening of each year's Trade Show. Industry heavyweights Travis Severance, Paul Butler, and Steve Ellis finished their terms and did not stand for reelection. As it happens, this year they've taken over Free RPG Day, a move that I approve of wholeheartedly. But anyway this year the succeeding chair, Dawn Studebaker, the vice chair, John Stephens, and at-large member Josh Fohrman were up for re-election. After the turmoil of last fall and the departure of John Ward and arrival of John Stacy, there were all kinds of ways this thing might have gone tiltwise. We were fortunate perhaps in that four prominent and experienced retailers threw their hats into the ring for election: Stephen Kirwan, Nick Coss, Jim Bruso, and David Wheeler. If any of those guys had gotten elected, I know they would have brought clout and a good voice to the board, especially as the former three are high-end Magic dealers. In the most participated GRD Board election in the organization's history, with some two hundred retailer members voting, the three incumbents held their seats and took home a vote of confidence in the GRD's direction. This was a long way and a far cry from previous years' participation by a few tables full of interested folks, if that. I am perhaps happiest because I know none of the three has any plans to vacate their seat, so the odds that I might be asked to step in as a replacement are remote. The Edge Nightclub was a fun place to throw back a few beverages with the guys, and a great assortment of friends and peers was on hand. What came next was what we all were waiting for. The newly revealed next steps in the TCGPlayer Pro platform offered glimpses of end-to-end retail fulfillment in a connected Apple-store-esque style. The Pro Kiosk, which rolled out a few months ago, has some expanded functionality coming, including buylisting. Payment processing and back-end infrastructure figure in. Overheard on the floor from a retailer smarter than me, "I didn't realize how ambitious Chedy [Hampson, founder of the company] really was with this, but he's looking years ahead and this isn't anywhere close to finished." I would concur. Like me, Hampson is a Class of '92 Gen-X'er. I don't have any special insight into his day-to-day thinking, but every time he shows us the next step, it's like I got the map upgrade on an RTS and I see what he's been doing all along and wonder how the hell I didn't put the pieces together sooner. TCGPlayer's path to success uses integration of existing off-the-shelf tech, leveraging software, resulting in a solution that attacks the root causes of multiple problems. I recently migrated DSG's Magic singles from Crystal Commerce sync to the TCG Pro platform, and at every turn I have had strong access to Chedy's team and relatively immediate direct assistance with the tech. Importantly, this includes my staff being able to work directly with them to resolve issues, as I am rarely personally at the steering wheel on singles fulfillment anymore these days. I recognize TCGPlayer is making money from my sales. If I am making the sales I'm supposed to be making, they are earning it. I need to increase my volume, and a physical tool for doing that appeared at GAMA as well, as I'll discuss shortly. My speedrunning friend ogNdrahciR still works for TCGPlayer, and I was delighted at the chance to talk Tetris and Ori again with one of the top players in the scene. He is also part of the tournament organizing crew for Ori, and the past 12 months of their events have offered some of the most exciting event coverage I've watched regardless of game or speedrunning format. Retailer groups turn to Facebook Messenger as the app of choice for coordinating meetups, meals, activities of every kind. The first few days, we type the same few things over and over again, from "Who here is hungry?" to "Who wants to try Game X in an hour?" to "Anyone with a laptop still in the lobby that can look at Z with me?" to "Who is still up and staying in the Tuscany Tower?" After a while you just want to cut to the chase. I'm in on whatever you're doing, until I conk out for the night on my hotel bed. You don't even have to ask anymore. Just tell me whar go. I'm having such a blast I'll barely even register it anyway. We always get pretty efficient by the end of the week. "Bimini 7:15 reservation under Josh" "IN" "Yep" "OMW" "yeah" "Rgr" "yesplz"
Mainstream board game manufacturer USAopoly has rebranded as "The Op," and presented to us an upcoming slate of releases that had me unexpectedly impressed. I mentioned that last Christmas was something of a bust for DSG in the board game department, but that the more mainstream titles and properties did noticeably better than the hobby-styled content. I didn't bring in a whole lot of USAopoly stuff overall, but most of their stuff I did bring in sold through. Even though it's the offseason for tabletop right now and for a while to come, I am here budgeting up a mid-year refill on their highly accessible, highly recognizable fare. In addition to great material with the Harry Potter and Marvel badges, The Op showed us a Die Hard asymmetric game where one player as John McClane takes on the other players as terrorists in the Nakamoto hostage standoff. The Op also has the new license for Talisman and is going to release IP skinned editions almost immediately, including one for Kingdom Hearts III that is as obvious a pre-order as I've ever seen. Nohtal Partansky and his team at Sorting Robotics have given the hobby game industry what might be its first true piece of rugged capital equipment: the Roca Sorter, a literal Magic card sorting machine. I got to see the device in action firsthand, and I went in expecting a science-fair project and instead got to see a polished, heavy-duty product. The price tag is not cheap, but machinery that creates value throughput rarely is. I am absolutely voluming enough cards to achieve the fastest possible ROI on this device, with my current fulfillment staff perpetually backlogged and the front-of-house staff preemptively sorting inbound collections to prep them for import. This also blew my show purchasing budget right out of the water, but that's OK, much of what I might otherwise have bought will still be there later, even if I do miss out on some "show special" pricing. Retailers are now broadly aware that the WizKids D&D and Pathfinder pre-primed unpainted miniature figures are basically the best thing to come to roleplaying tables since polyhedral dice. At their publisher presentation, WizKids kindly reminded us all why we don't stock Reaper Bones anymore and don't miss doing so, by showing us an outstanding assortment of upcoming figures. These figures included baby dragons. Shut up and take my money. In turn, my D&D players will ask me to shut up and take their money. When the worst problem with a product line is that huge quarterly restocks are not enough, we have ourselves a pretty good situation. The bloodbath I've been chronicling on the hobby game retail side of things has extended into the parallel industries that sell picks and shovels to the gold rush prospectors as well. The latest victim is apparently Skyline Designs, which manufactured the best comic book fixtures in the business. It's tough to ascertain publisher closures because even an inert publisher is still an IP rightsholder, and could sell out at any time, usually to Asmodee. Each GAMA more than the last has me in meetings with various people. This year it was mostly distributors, with highly productive face-time in front of several. In one case I was helping them with research for a project they are considering. In another case we had some customer service difficulty a couple of years back and it was time to reopen the bridge we repaired last year. In yet another case it's a smaller distributor who started with imports and light manufacturing, who had some new offerings on deck and a potential custom solution to one of my process problems. And I met with one manufacturer in particular whose product exceeded my expectation (the Roca Sorter). The thing with meetings is that by the time you are being asked for them, you need to think about what you bring to the table and why the other party wants to talk to you. Business is a two-way street. If they just wanted to pitch to you, they'd do it in the same room as their pitch to everyone else. So yes they want money, we all do, but they had ways to ask for that already. A meeting request is an opportunity to do something more. I'm socially awkward so I just roll with it and try to be genuine about how I work and what I might be able to offer. The GAMA organization needed badly to get out of Bally's and it did. A short-term sojourn at the edge of wherever is a reasonable price to pay for that. Aaaaand because the Peppermill couldn't grow with the show anyway, we're already maxed out there, though I imagine the custom Keyforge decks helped make that happen for 2019 at least. 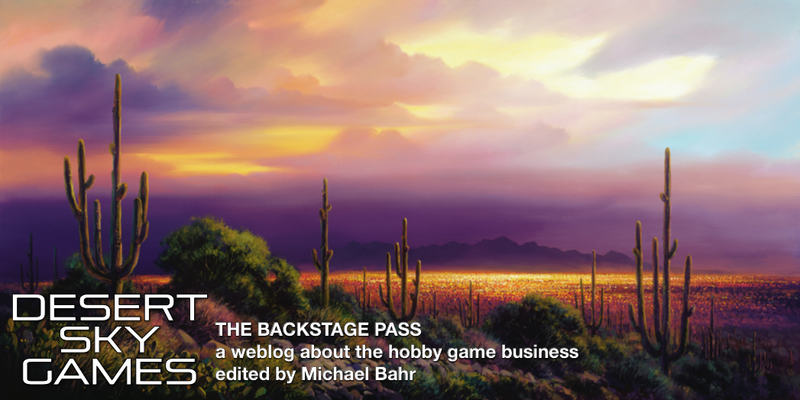 Now that the show is under stable footing and a new roster of stewards, it's time to fix the location situation in a way that keeps the GAMA Trade Show, the only significant West Coast business-facing convention in the hobby game trade, out west. John Stacy and the main and retail Boards are already starting to put feelers out for this, and I am absolutely confident they will do their diligence. If I had to lay spoilers for what they are going to conclude, it would be something like: Vegas but off the strip (Red Rocks, perhaps? ), Phoenix, or San Diego. Without any doubt California brings with it some costs, but also some pretty serious event voltage. Vegas and Phoenix are both tourist towns with relatively inexpensive airfare access and there's probably no better time to visit either locale than mid-March. And lest you think I'm homering this, I'd rather they pick Vegas than Phoenix, but that's just personal choice and it could turn out that Phoenix is the best option for the show. I get that GAMA was just another small show in Vegas and a much heavier-weight puncher in Reno. Unfortunately, possibly too much heavier. If the ref doesn't stop this fight, I fear we'll leave Reno on the mat like Ivan Drago did to Apollo Creed. If you have a better idea, a cost-realistic idea, and one that isn't just making this the umpteenth show in Indianapolis, Columbus, or Atlanta, GAMA is listening. Always our pre-encore closer in these articles, Net Income remains, far and away and beyond any doubt, the #1 most important thing in any business. Without Net Income you can't do anything else. You can't "be there for the community," you can't behave with integrity, you can't bear the cost burden that it takes to be in clear and unambiguous compliance with the law, you can't borrow and be counted on to pay back, and so on. Without Net Income, it doesn't matter what you gross. Without Net Income, it doesn't matter what you carry. Without Net Income, it doesn't matter how many damned butts you have in seats. Without Net Income, it doesn't matter what you promise. If I can only teach one thing to any new retailer, or even any new small-shop publisher for that matter, it is to set up a business structure that provides adequate net income. DSG's early configuration was not sustainable, and it almost put us out of action by late 2014. Every time we've been forced to zig when we needed to zag, there has been a negative bottom-line impact. If we had done in the beginning some of what we've done since, today I could be administering half a dozen or more stores... or the same one big store, but doing so from a tropical beach somewhere. It takes a few GAMA Trade Shows to realize a truth: It's not what you got, but what you give. No, I haven't suddenly turned socialist; I feel no Bern or other redistributive lunacy. I'm referring to the shift from acquiring giveouts to establishing relationships. Yes, there are plenty of opportunities at GAMA to get hands on sample product, and even in some cases product you can put right on the shelf if you like, starting with "The Box" that retailers can earn for attending all nine publisher presentation time slots. I usually use that as an opportunity to try the provided products out for sale. It helps defray the cost of traveling to the show, and anything that sells within 90 days will get restocked the same as if I had bought the first one on regular pre-order. Look, you can trawl the exhibit hall floor with the coupon book and visit every publisher pitch and even attend the demo game nights and the poker game and so on, and gather veritable boxes of GAMA swag and genuine merchandise, and you won't gain anywhere near the kind of enduring, long-term business benefit that you will get from building relationships with people at GAMA. And I don't just mean a feel-good benefit here, though it's nice to be rewarded at the same time for being a decent human being. I mean you make more money from it. And so do they, the people who you build relationships with. With the publishers, you get to know the people behind the product and understand how they are positioning their offerings, and many times you can open up a direct sourcing conduit. With the distributors, you have a chance to open a relationship with a company that can meet multiple business needs at once for you. With other retailers, you get to learn what they've figured out, and vice versa. It's very rare to meet a retailer who actually cares enough to make the trip to GAMA, who has nothing they can teach you. And I can tell you, retailers I might never have said three words to ordinarily, have shown me ways to level up DSG that I can scarcely sum up in a simple blog article. That's it! Hope you enjoyed my GAMA 2019 wrap-up. And, to address a question raised two years ago in this space... a small piece of Interstate 11 is open, and it's great! It begins at the Tillman Bridge and bypasses the entire ridiculous traffic jam of Boulder City, leading directly into Henderson and allowing a traveler with sufficient fuel and no need for a restroom break to drive nonstop from basically Kingman to the Strip. It probably saves at least 20 minutes off the journey, bringing a well-planned Phoenix-to-Vegas drive in under four hours for the first time in history. You know what would be cool? Getting into the car at DSG and getting out at the hotel for GAMA, in Las Vegas. And not even feeling travel-stressed. We can dream. Thank you for rocking with us, Cleveland, and good night! Reports of mass brick-and-mortar retail closures in 2019 continue to propagate. If you've been following The Backstage Pass for any length of time, you surely know we noticed this trend several times already in our particular niche industry. In part, the closures in the mass market are not the most serious thing. 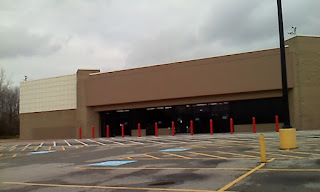 Cold comfort to anyone whose job ceases to exist due to a store closure, but physical retail was pretty badly overbuilt in the United States even before the Retailpocalypse got underway. Nowhere else in the world has anywhere near the commercial square footage per capita that we do. A correction has been long overdue and a large correction is taking time to run its course. As a person of Ukrainian descent, I have naturally found the Chernobyl disaster of 1986 to be particularly unnerving. A corner of my ancestral homeland was poisoned with a elemental-level toxicity worse than anything science had yet produced, and for which there isn't much in the way of practical mitigation. Though the Earth has proven to have healing processes of greater efficacy than expected -- all sorts of flora and fauna in the Exclusion Zone live more or less normally now, including a few hundred residents who refused to leave -- there was massive organic death and decay in the immediate aftermath of the meltdown. The Chernobyl power plant had a support city built specifically to house the plant engineers and staff and their families, the city of Pripyat. Pripyat is a ghost town today, abandoned and rotting, shell husks of former buildings. They are in many cases unsafe to enter now, on the verge of collapse and exhibiting deadly protrusions and unsupported weights. You can take a tour of Pripyat in person if you're just a little on the edge like my friend Adam, who did just that, or you can explore the city in a virtual simulation in the video game Call of Duty 4: Modern Warfare. Abandoned buildings are always going to have a similar aesthetic, but it struck me as I started to read more about the big box husks and the hulking shells of the retailpocalypse that it evoked Pripyat so much. And that had me thinking: What parts of the current hobby game industry seem like they could melt down in an explosive disaster, with the graphite debris instead being massive unsold stocks, red ink, and closed stores and publishing studios? You probably think I'm going to cite Magic, and you'd be wrong. Even in the wake of a significant disruptive event to Magic (even moreso than the turbulence we've been riding through as of late), Magic: the Gathering is a once-in-a-lifetime game design triumph, melding gripping thematic resonance with deep, extensive replayability. For everything that is wrong with Magic, past to future, as a game product measured against the field, it is so robust that Wizards of the Coast could stop printing cards tomorrow and never produce another product, and the game would continued to be played for decades or longer. If anything, Magic is undervalued right now, a sentence that seems like it should surely be a mistake of some kind. Other trading card games, though? For certain. Pokemon and Yu-Gi-Oh depend on a large but fickle mass market to make their hay. In a world where the youth target audience for those products flits from one new shiny game to the next, between the worlds of the physical and the digital, from Minecraft to Fortnite and thence to Apex Legends, from fidget spinners to Jelly Bean Flavor Challenges, it's only a matter of time before those TCGs spend a few consecutive cycles out of favor, and collapse. The rest of the anime TCGs are basically zombies already, primarily played by the degenerate side of the weeaboo cohort and purchased from online chop shops. Board games are clear candidates for meltdown because we keep getting these almost-kinda-maybe starts of the process. Even now with over a dozen new titles releasing per day (clumped around Gen Con and Essen Spiel conventions but averaging that rate) there is no shortage of dreamer garage publishers desperately crying into the wind, "Me Too!" As we've discussed before, no alpha gamer of even the keenest level of devotion can possibly ingest all this content. Miniatures games not called Warhammer seem also to be in a precarious state. I have always thought of the miniature wargames category as one that is particularly vulnerable to being supplanted by a video game surrogate. Warhammer is the least vulnerable of all, with its decades of IP that would readily skin a digital wargame offering (and already have done so multiple times) and its superior model quality and distribution structure. But it is still vulnerable in some small measure. While other wargames have the capability to fill niches and still capture an enthusiastic analog audience, I suggest we are due for a correction. Comics are definitely headed that way. Comic book IP has never been stronger, from the top of the majors to emerging work from the indies. But the entire comic industry is built on a content distribution system that seems to take a perverse pride in being able to tack on the compound modifier "last remaining" to almost every one of its processes you'd identify. Even in the event of meltdown, there is rebirth. Maybe we'll even get real mutants next time, with powers, not like the mostly normal aftermath we're seeing in Pripyat decades after the ions soared. Once you've been in the biz for a while and you have a reasonable cash reserve, or even an unreasonable one but access to money from credit or whatever, you eventually get approached to make large-scale buys that may or may not be directly in line with your daily processes. And you throw out the ratio table and it's up to you as a dealer to assess exactly what kind of money you can make from this merch, and how quickly, and how much that's going to affect operations until you've recouped. I don't mean just a large collection of whatever you deal in. While you should absolutely "summarize" your offer on such an instance, buying at ratio is still fundamentally correct and you're actually playing with a third rail if you diverge too far from it. This is the stuff you allocate your resources expecting to buy with regular frequency, and approximately 100% of it needs to ingest directly to inventory through your daily processes. For DSG, this means Magic: the Gathering singles, board games, movies, and most video games. No, when I refer to a Purchase of Opportunity, I mean when you get approached to buy something that isn't regular merch but is within your sphere of expertise, for value, and part of why you throw out the ratio sheet is that usually you only field these offers from someone who you need to take care of. Long-time friends, closing competitors, peers who made even bigger buys that they need to split with allies, local celebrities cleaning out their closets, that sort of thing. In fact, a good friend of mine who is in the security business, used to deal in sports memorabilia by dint of an endless string of referrals from the local athletes and other movers and shakers who he'd serve in his primary business. They would strike up a rapport, and he'd make it known he was a collector and always willing to buy. The next time that athlete was doing some decluttering, my friend would suddenly find himself with a stack of goods that included actual memorabilia (game-worn uniforms and autographed game balls and related merch) and just "stuff rich people have extras of" like last-generation computers and home theater hardware. He once got an arcade game for some nominal amount, a couple hundred dollars and the labor to haul it away from the athlete's estate, got it home and opened it up, to find less than 100 plays on the coin audit meter. The baller had bought it for Christmas for his kids, they played it a few times, and then it went into the garage and sat untouched for a decade. Arcade collectors call these units "HUO," for "Home Use Only," and they are excitedly sought. We won't all get vintage jackpots for the price of a truck drive, but we have to be ready for even the modest pickups. I had a small win when I acquired a great Sony WEGA CRT for retro video games for the price of hauling it away from a good friend's father's house. They needed it gone, Goodwill literally won't take CRTs anymore, and I'm still in good enough health to lift things (for now). They tossed in half a dozen boxes of old movies. At the end of the day I'd have passed on that if it were a merch offer because I didn't have a great prospect of resale for those items, but since I knew I could literally use it as a gameplay TV until I figured out a business purpose, I was happy to haul. I recently had a very archetypical Purchase of Opportunity, and that's what made me think to write this article. A couple weeks back, a long-time friend who had already sold me some great rare Nintendo material years ago from his previous career in marketing, offered me a literal (pickup) truckload of the remainder of his collection. He had gone to the effort of finding me eBay pricing on all the goods already, and I took a look at the spreads and the kind of merch involved and realized that reselling conventionally would be within acceptable risk parameters. I could really do well if I was willing to take my time, and in the meanwhile I could split the buy with some peers as a hedge to cover it fast. I offered what would have been a clear overpayment if it had been a stranger bringing me the goods, but I knew this guy didn't deal in junk -- if it was in his collection, it was the real stuff, and if he said it worked, it did. He was delighted with the number, and money changed hands. I have been carefully processing the entire batch, and sure enough, it fell within expectations. Some of the merch went right to main inventory within normal processes... need a couple dozen Game Boy Advances and Wii systems? I'll always want that stock. Some of it is flat-out promotional marketing memorabilia, much like from the earlier buy. I'm mixing that up between keeping for DSG and splitting it up into bundles to sell to my peers for their own purposes. Some of it is just spare parts and such that I will, for the most part, just use in the workshop. A small few things weren't especially useful in one way or another, and I build that expectation into the buy. I'll either give them away or whatever. And some of the collection is the highly sought goods that are just for stores -- or for serious collectors -- kiosk hardware, rack and fixture, specialized merch, signage, and so on. I have real work to do in recouping my purchase in a timely fashion, but I would make this deal ten times out of ten even though it was for a non-trivial amount of cash. I'll end this article with a little captioned photo gallery of some of the collection, but I want to leave you with this thought as today's tradecraft lesson. I don't know where the next collection like this is going to come from, or even what kind of merch it's going to be. I can tell you that if it's a known-serious collector or especially an industry source whose merch is going to be the real deal, I will be engaging in what amounts to fairly critical research on short notice to find a number that's low enough I can still make a profit, but high enough that the seller knows I am taking him or her seriously. Finding that number and being confident in it means drawing on all the information-gathering practice I've had, plus all my previous dealing experience in comparables, and being professional enough in the interaction to radiate credibility. You know how sometimes people say someone comes off as a used-car salesman shady type? They failed that test. Learn your craft and hope you get a Purchase of Opportunity to try again. These are some of the top goods in the buy, a handful of actual complete kiosks in working order. Some are full floor-length with weights, some are countertops, there are scads of security mounts and cables and chains and fasteners, and it's all 100% authentic. I'm offsetting a very small amount of this to peers and keeping the rest for DSG locations, present and future. One of the kiosks, in fact, is still factory-sealed! This essentially never happens. Some store had to have cancelled a merchandising order or closed unexpectedly or who knows what all. Since DSG is going to use its kiosks for public play, we're fine with the used ones and that made this an ideal candidate for resale. I shouldn't get so excited about little fixtures like this but the buy had a whole bunch of these still new in the carton, and they look outstanding! 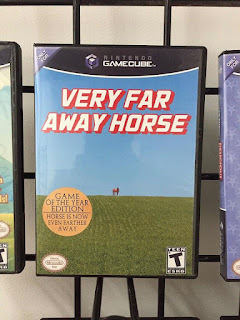 They fit CIB games from GB, GBC, GBA, DS, and 3DS, as well as all DVD-cased system games (Gamecube, Wii, Wii U). Honestly I'm having a hard time deciding whether or at what price to sell the "extras" because I could very easily use every single one of these at DSG, and yet I know some peers will want these racks. You'd be surprised at how much CIB accessories sometimes go for at market value. This is not the absurdly rare and valuable Gamecube Component Cable, but for accept-no-compromise Wii collectors, streamers, speedrunners, and purists, nothing but an OEM RVL-011 will do. It helps that Nintendo's own first-party hardware is so consistently high-quality. New hardware but not in a retail SKU package? That's factory-certified product, and any chance to sell a 13-year-old console (this is a RVL-101 black Wii) brand new at a premium to the collectors who demand it, is not to be passed up. The collection contained a truly frightening number of display-only DS units, sought both by collectors and case-modders. I don't actually think my peers need many of these, so most of them will be trickled out on the collector market. This is good value that is going to take me forever to harvest. The frame came from the craft shop near the mall, but the signage was a fixture-fill panel made of hard paperstock. These things are large, vivid, and look phenomenal on the wall. Fortunately for my peers, I do have extras and they are going to get access to them. So there are enough of these, and enough security hardware including bolts, brackets, cables, chains, fasteners, and so on, that I am going to be able to build working kiosks for DSGs present and future and still have a bunch of spares to sell to peers and on eBay and so on. I even have some like the aqua 3DS in the photo above that were left over after I ran out of brackets for that specific model, and yet it's a working system that I can use to test games, accessories, and so forth, freeing up my existing test unit for regular sale in inventory. The meat of the collection is definitely the stacks of consoles and handhelds I've been processing. There are even Wii U kiosk units that, similarly, have security-wired controllers and special circuitry so that they will not work as a conventional retail unit would, but are tailored exactly to be ideal in a store setting. The photo above shows the special Wii U on top and a regular Wii U on the bottom for the purpose of comparison. I expect to have roughly one spare Wii U kiosk kit after keeping what DSG needs, and finding it complete doesn't come cheap, so I'll look for market value on that regardless of the buyer. That's not even all of it! But if I keep sitting here typing, I'm not selling, and I need most of this stuff sold, so I'm going to get right back to it. May your Purchases of Opportunity be as great!